Hat alles gut geklappt. Die Schuhe sind wunderschön! I LOVE LOVE these sandals. DelosArt makes ART and great business...These sandals looked so good and original online, but they are even better in real life. Maria was super helpful and thoughtful during my purchase experience. I ordered US size 10, and she proactively sent me a size larger because from experience she knew that US size 10 equals size 42 for her sandals. The item came in on time, in fact earlier than expected, and it is the right fit, so Maria was correct about the size & fit :) After I received the item, I reached out to Maria, and she has been super responsive and super kind. I plan to wear these sandals for my wedding and I can't wait. They are original, elegant, beautiful and super comfy. Thank you, Maria. 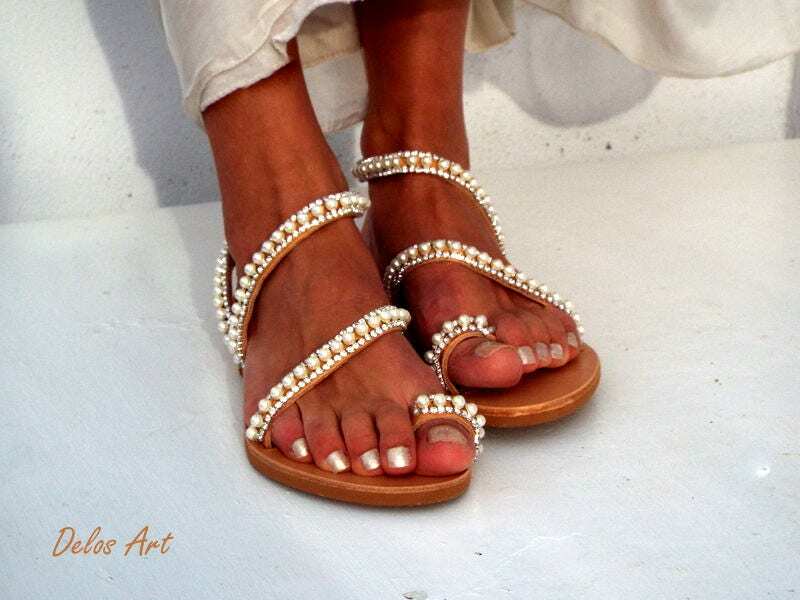 Love your art...love your beautiful sandals! And I plan to buy more of these for everyday use.